It is time that we start choosing the right and healthy food to eat. Therefore, I ensure to make a dish at least three times a week that includes veggies and fruits. Although, hubby and son was not a big fan of it, still they tried their best. In addition, in order for them to get used to veggies food, as a mother I have to make a dish that would love them to eat veggies. Nevertheless, either I choose to make Chopsuey where I can make a pre-cut veggies or I can get the fresh one on the market. It’s very simple and quick to make this dish, I added more sauce so that, my son would enjoy the sauce while I spread it on his rice. I am glad that my son started to like the meal, although, he would prefer the sauce to the veggies. As long as I cooked them together and he is eating them, they're still nutrients within. This looks relish! Thanks for sharing! Will have to make this one and try it out soon! I've had different versions of chopsuey and they all taste pretty good to me. This one looks very yummy and I love my veggies. I'm pretty lucky my family loves their veggies. I've been trying to incorporate more veggies into our meals. This looks like a tasty dish my family would be willing to try. I really like chop suey but have never made it, I should give it a try. I need to come learn to cook from you! You share some meals that look so good. It is nice that you found a way to make vegetables that your family will eat and enjoy. It is nice to have vegetables that tastes delicious. That looks so delicious. I love making different kinds of chopseuy. I tried cooking vegetables with different kinds of meat. 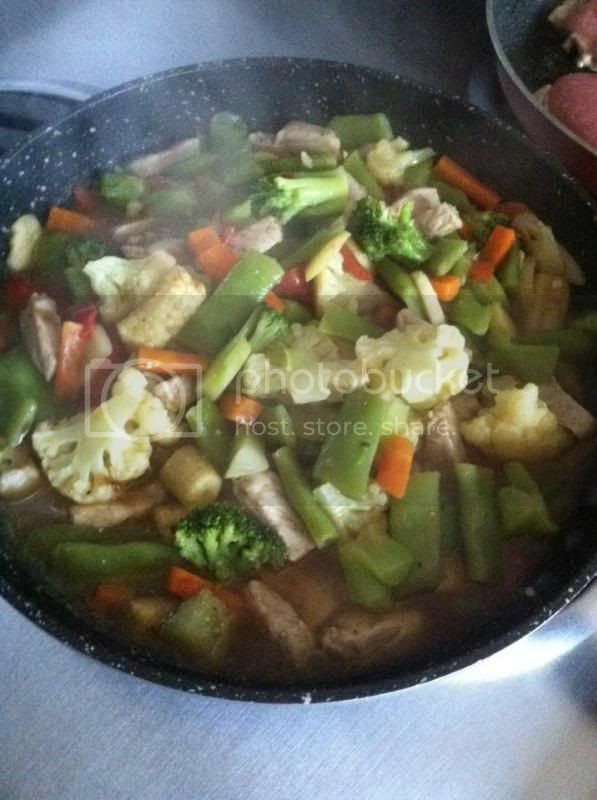 I love chopsuey as well, yours looks yummy! I love me some Chopsuey too! I love anything veggies that is for sure. I really wish my boy would eat some, but he doesn't. When I make something like soup, I have to have lots of veggies so at least he gets some of the broth from the veggies. Hmmmmm..u made me hungry for some, mommy. I like what I am seeing. I can tell that these vegies are crunchy. Man, I love it! This is a good and healthy meal. We love chopsuey too.